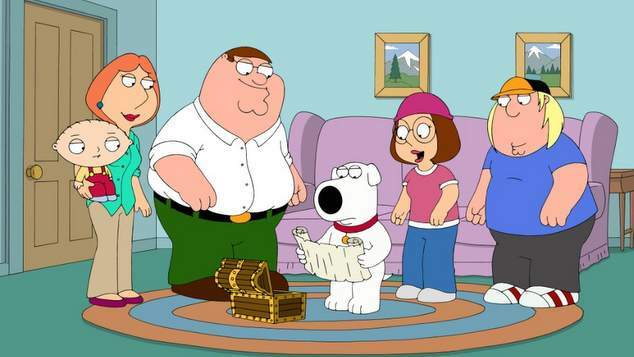 Cartoon comedy Family Guy has announced that future episodes of the show will stop making gay jokes. In the most recent episode to screen in the USA the show’s main character Peter Griffin spends time as President Donald Trump’s Press Secretary. The character makes a comment noting that the show is trying to cut down on it’s jokes about gay people. It’s something the producers and writers of the show have confirmed is actually true. Executive Producers Alec Sulkin and Rich Appel told TV Line they were making an effort. “If you look at a show from 2005 or 2006 and put it side by side with a show from 2018 or 2019, they’re going to have a few differences. Some of the things we felt comfortable saying and joking about back then, we now understand is not acceptable.” the producer said. The animated show has been running since 1999 and is currently airing its 17th season. In its early years the show was cancelled several times, but successfully managed to be re-animated and brought back to life. There’s no word yet on if there will be an 18th season.